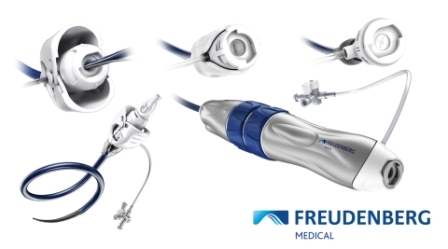 Medical devices maker Freudenberg Medical has introduced new hemostasis valve products for interventional and diagnostic catheters. The new products such as HyperSeal and CertuSeal valves compliment the FlexSeal valve, which was launched last year. Hemostasis valves, which will be used to reduce blood loss, will facilitate minimally invasive and catheter-based medical procedures. The company has also introduced HyperSeal introducer sheath with hydrophilic coating, which joins the FlexSeal introducer sheath as a white label device solution for large bore procedures. The new hemostasis valves can be directly integrated into therapeutic catheter development projects, helping to provide new design options, reduce development time and costs. Freudenberg’s medical device products also include Composer deflectable catheter handle platform. Freudenberg Medical portfolio management director Bernie Kaeferlein said: “Freudenberg Medical’s hemostasis valves provide a wide range of innovative features designed to greatly improve hemostasis and procedural performance when integrated into next generation catheters and delivery systems. In February, Freudenberg announced that it is developing roducts that make delivering drug treatment for some of the most common diseases more precise and the healing process faster. The company is currently investing in the expansion of its medical technology division worldwide. Freudenberg is engaged in the designing, development and manufacturing of medical devices, components and product solutions. The company produces high precision silicone and thermoplastic components, as well as tubing, drug coatings, finished devices and subassemblies for minimally invasive, handheld, and catheter-based devices. Image: Freudenberg’s medical device solutions for interventional and diagnostic catheters. Photo: courtesy of Business Wire.